Enjoy an exciting stay in the Bavarian capital. 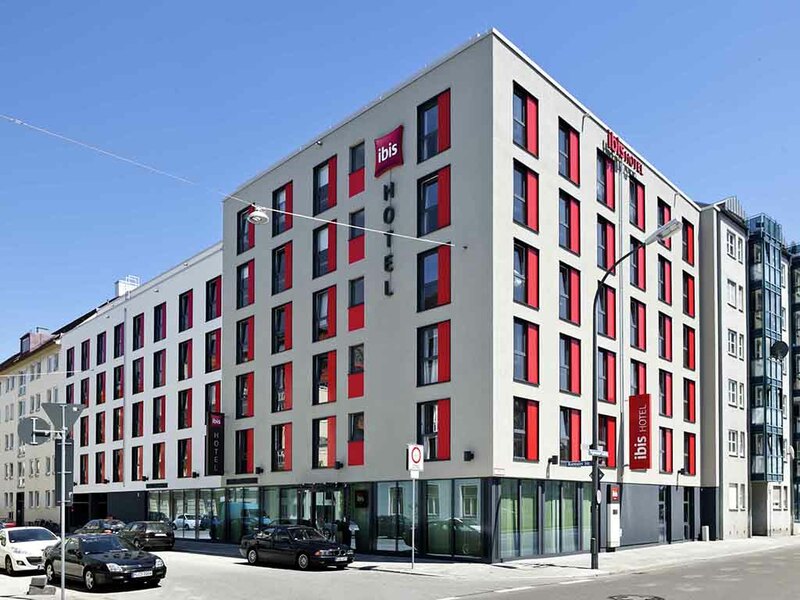 The ibis München City Süd hotel has 133 air-conditioned rooms that really make you feel at home with their fresh design and innovative, extra-comfortable beds. WIFI is free of charge throughout the hotel. Breakfast is available between 4AM and midday, and the bar serves drinks and snacks around the clock. You can reach the city of Munich, which is 1.9 miles (3 km) away, in just 8 minutes on the U-Bahn. Secure parking is available in our indoor car park. Reach the city of Munich, which is 1.9 miles (3 km) away, in just 8 minutes on the subway. Breakfast served between 4am and midday, the bar serves drinks and snacks round-the-clock. Our rooms with modern furnishings and air conditioning have a double bed or twin beds, shower/WC, desk, flat-screen TV and free WIFI. Some rooms have an additional bed for a third person. It is never too late - or too early - for a good drink! Whenever you fancy a beer, long drink or soft drink, our bar is open for you 24/7. We also serve snacks around the clock.